The DTG 770 Pro-80 Studio Headphones are closed back, diffuse-field headphones featuring bass reflex technology for improved bass response and clinically accurate high and mid-range reproduction. Rugged headband construction. Single-sided cable. Just received new DT770 Pros as a Christmas gift. Audio Production student looking for decent priced, high quality sound, and boy does this pair deliver. Excellent highs, thumping lows and versatile everywhere in between. Slight drawback is they do have a bit of oustide bleed, but are very comfortable. Highly recommended. Over all these cans get a 4.75 or 5/5 great buy. If you're looking for better sound quality and noise canceling, have an extra $50, get beats by dre. However, they aren't as durable. A producer that I work with bought these for his studio. We had been getting lack luster vocals from singers who otherwise were very good. I decided to investigate. I tried singing using them, and to my amazement, I couldn't hear myself. I thought that It must be a level issue, so I boosted my track level to the cans, and still couldn't hear myself. I ran to the closest pro audio store and purchased three other sets of headphones. EVERY ONE PERFORMED MUCH BETTER. I tried a pair of Sony's...they were a BIG improvement. Next, a pair of the Dr. Dre's...pretty hyped and not really my cup of tea, but I could hear myself. Finally, Audio Technica ATH-M50's...FANTASTIC! I don't know what they did wrong with these headphones, but they are unusable for any kind of studio application. Other than really expensive ear muffs, I would just pass these by. Just AWEFUL! 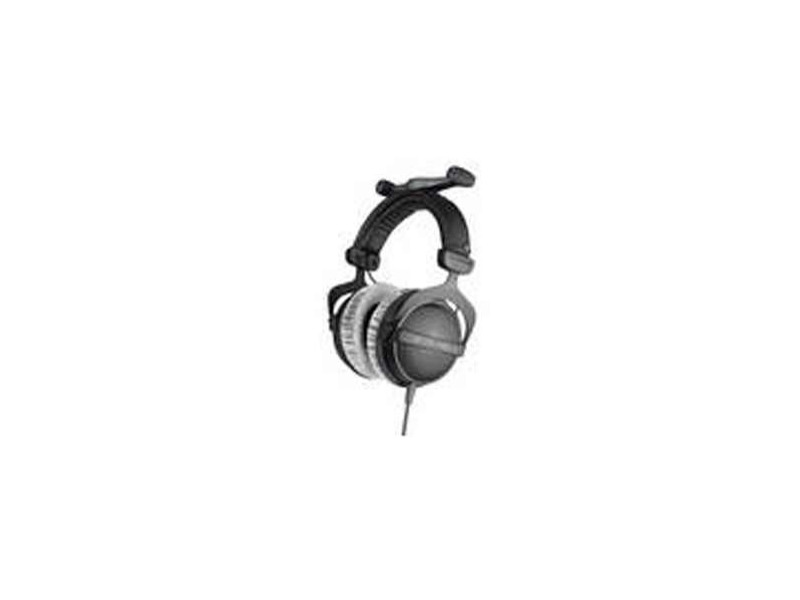 The Headphones are high quality and easy to dismantle if any parts needed replacing. The mid and high tones are produced with ease and with no digital clipping even when put to a decent volume test, to the point where i had to take it off my ears for it started to hurt. When listening to songs i have known for years i started to hear reverb, echo's, special effects, and all the little things that were put there by engineers, and producers, for us to hear, though i had never picked up on before. I noticed it all because of the clarity from the lows, mid's and high's. The Bass side of these headphones are possibly my favourite part, they have a very detailed low end, with a lot of feeling, maybe not as much as a dedicated sub-woofer in the back of a car, but about as much as you could possibly imagine from a set of headphones. The only downside i would give to these headphones are that they let a fair amount of sound escape the headphones, so when recording vocals, this may add bleeding to the mic. If its for a drummer, or sorts, it would be a little less noticeable. The first thing you notice about these headphones are that they are very bulky - this is not a problem as I will principally be using them for studio applications. When I put these on I found that they are extremely comfy, probably the most comfy headphones I have worn. They are nice and tight but sit very neutrally on my head. As soon as you put these on you realise just how well they isolate the sound and just how noisy your room is. They are quoted as 18dBA isolation and without doing tests I think this is fairly accurate. Then we come to the sound. From right down at the bottom to the air at the top these headphones ooze class. There is a very exposed midrange which I think I would trust to make serious mixing decisions in the futures. A great reference pair of headphones!! I purchased these almost two months ago. I was amazed at the detail and quality of the sound produced by these. All across the spectrum from sizzling highs to deep bass. However a month into having them i started to notice that the left channel gave off a kinda of blown speaker sound. On certain bass notes the left side sounded bad. I wasn't sure at first so i tried different synths thinking that could be the problem. finally I took them back to Guitar Center and plugged them into a Korg synth on display to see if they still made that sound. they did and luckily I had purchased the insurance. I sent them back and got a check for the amount. Since these are the "best" at guitar center I bought another pair. I have had this pair for one week and now the right channel is distorting bass notes again! In a full mix you can hardly tell... but if you are working with the bass for a track it can be very annoying! I plan on returning these ASAP. Apparently I am not the only one to have this problem. further more to have two sets go bad in a two month period is horrible. I do not have any kind of amp and the volumes that i use them at are hardly enough to blow even the cheapest of headphones. If you decided to take theses BUY THE INSURANCE!!! Otherwise you will regret it. I was incredibly impressed with the sound of these headphones, they are probably the nicest headphones I have ever heard. Everything from low to high is incredibly clear and represented, and the transient response is very revealing for headphones. Unfortunately, they keep blowing and distorting bass notes. My pair have blown twice in 6 months and even though Beyer have repaired, I am thoroughly unsatisfied with this. I've never had HP's blow on me in the past and these have only been plugged into the dedicated headphone out of my Focusrite Saffire audio interface. Despite my initial satisfaction with their (truly awesome) sound, these headphones were not worth the money and my low score reflects my disappointment. Well, they repaired them..... but they broke again. It took a while to get them back too. I was slightly iffy when I bought them on just how much better they'd be than anything I had used before. Much to my surprise, they were worth every penny. Now, this might be using a screw driver as a hammer... but I noticed that they're great for watching movies with too. You get that full "window shattering" rumble to the quietist steps. All-around amazing cans. These things kick my brain into gear. These literally are amazing. I'd love just a bit more boom. I don't know if there is a can on the market which will make my head move any more though, so I think I just have extravagant taste. I've been using UltraSone's HFI-700's for the past year, and although I've been really happy with those, I felt like I was missing out on the low lows and the high highs if that makes any sense. Also my ears sweat quite a bit with them. Since getting the Beyer's a couple hours ago, I've been really impressed. They are so light and comfortable in comparison, the sound is immaculate, clean, and deep when it needs to be. I'm no audiophile, but I'll admit I have expensive taste. These are fantastic for AV, and Computer listening. Ordered on Ebay...Customer service was fast and efficient.